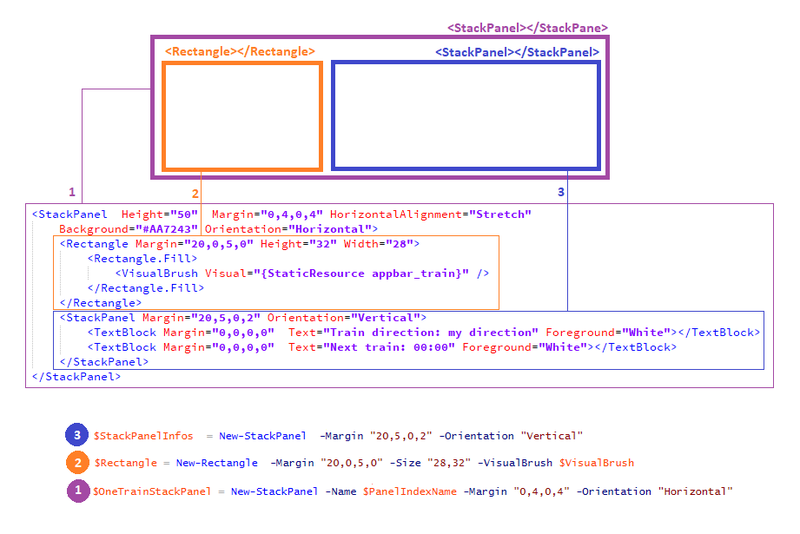 In this post, I will show you how to add dynamic content inside a WPF window in PowerShell. Most of the time, we display dynamic data inside a Datagrid or a Listview, but what if we want to create our own display for each item? 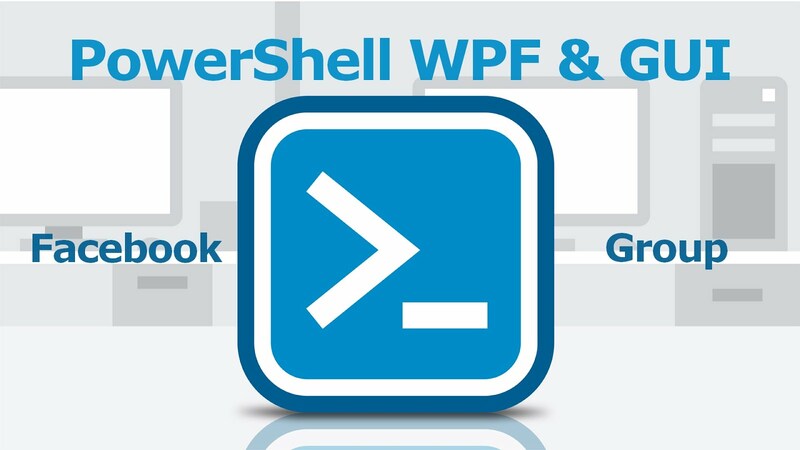 Recently I came across this post: “Let’s play with SNCF API and Powershell!” written by Etienne Deneuve. You can get a list of the next train in a specific train station. What‘s that got to do with us? The answer is simple, this script will return a dynamic result for each query. And that’s a good example to use. Here is a window with a datagrid to show what we have done up until now, and a new block to show what could be done with a dynamic display. Get the Grid control name where we will place our dynamic controls, and then remove everything inside. To achieve this you have to create a certain number of elements and fully understand how stackpanel works. You can learn more about stackPanel here. # append the current train to the main Grid. $OneTrainStackPanel = New-StackPanel -Name $PanelIndexName -Margin "0,4,0,4" -Orientation "Horizontal" -HorizontalAlignment "Stretch" -Background "#5B965B"
$StackPanelInfos = New-StackPanel -Margin "20,5,0,2" -Orientation "Vertical"
$directionTextBlock = New-TextBlock -Margin "0,0,0,0" -ForeGround "White"
$TimeTextBlock = New-TextBlock -Margin "0,0,0,0" -ForeGround "White"
are not parts of PowerShell commands. These are commands I created to simplify things. You can find all of them here. There are still many lefts to do though. Repeat the same process for each train of the array inside a big looop and that’s it, you will have the same result as shown in the preview of this post. If you don’t want to grab a key for the API you can directly load the data sample on the github repository (“allTrains.csv”) with import-csv and assign it to $allTrains variable.